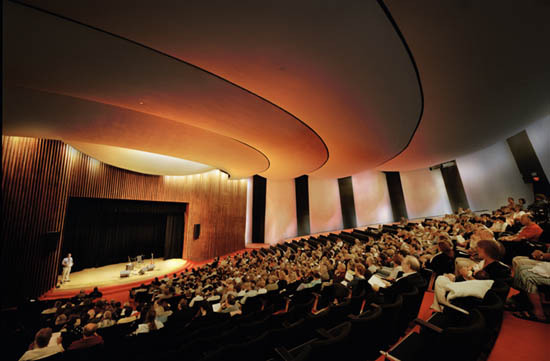 All Arts and Lecture Series events take place in Ramsey Auditorium. Ramsey Auditorium is located in Wilson Hall at Fermilab. 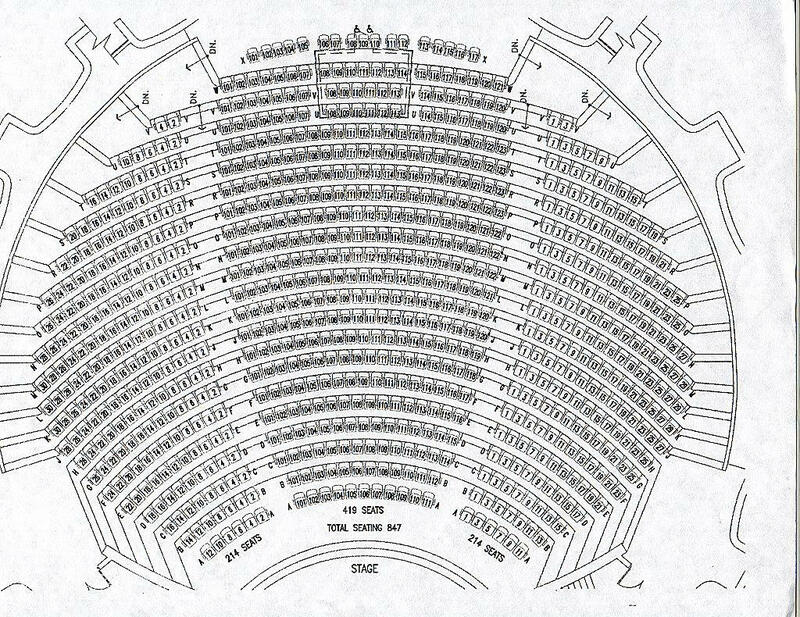 It can seat up to 847 patrons, in rows shown below. When ordering Arts Series tickets, you can specify where in the auditorium you would like your seats. Lecture Series seating is general admission; Gallery Chamber Series events are general admission and take place in the Fermilab Art Gallery located on the 2nd floor of Wilson Hall. All of the wood used in the proscenium and lobby of Ramsey Auditorium is from trees which had to be cleared when Fermilab was built.